This book resumes the experiences of Overcoming Underearning(R) workshop participants and some of their follow-up stories. The introduction takes account of Barbara Huson’s story as an underearner, all her struggles until she figured out the five-step plan to overcome it. She states how anyone can earn a six-figure income, and still be an underearner; therefore, financial independence is the focus. Here is a list of symptoms of being an underearner (Underearners Anonymous). However, Barbara Stanny believes underearning is a symptom per se, and it is a consequence of low self-esteem or lack of self-worth. It is uncomfortable to bring all that’s not working to the surface, and heal. Furthermore, change, and new opportunities are waiting for us to transform our mindset, and clean the clutter. 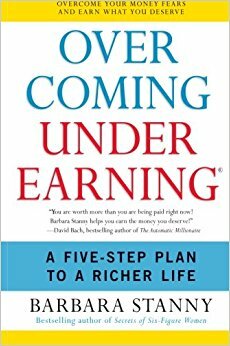 This book is useful if you are thinking “it is time to make more money.”, but you don’t know where to start. Through a series of exercises, visualizations, and journaling, Barbara Stanny examines all the barriers that kept the underearning. It’s not a magic pill as it requires outer and inner work. 2 Are you an underearner? Published by HarperCollins e-books, 2007.